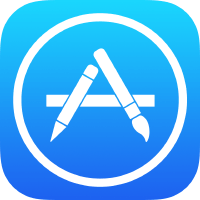 While many developers use Corona for game development, it can be used to develop any genre of app, including general purpose apps and business-related apps. In this case study, we want to introduce you to a beautifully-designed, non-game app from Aatos Media called Relaxation Coach. Leveraging the expert knowledge of pro sport and mental coach Jouko Mikkola, Tommi Saksa created an exercise app to help people lead better lives. Relaxation Coach goes beyond normal “mindfulness” apps by including exercises that relax both the mind and body. 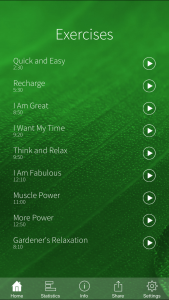 Unlike mindfulness apps which are intended to be used daily, the exercises in Relaxation Coach can be used whenever needed. Mikkola, using his expertise, designed all of the exercises as well as the concept for the app. 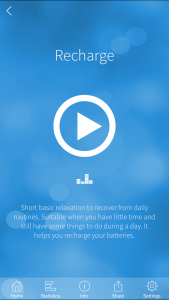 Relaxation Coach includes nine different exercises to help you relax, tips on how to use the app, descriptions of all the exercises, and some customization options which let the user choose the theme and music to relax to. The app was designed around a minimalistic user interface with the goal of keeping it simple to use. This is the first business app developed by Saksa. He made heavy use of UI widgets and found them easy to use. Currently the app is only in English but it’s designed to be easily translated. All text strings are decoded from a stored JSON file and the app’s statistics data is tracked using Corona’s built-in SQLite engine. Saksa currently has his next app, an action/puzzle platform game called The Sidekicks targeted for a Q1 2017 release. 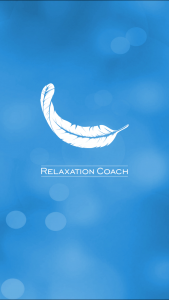 Relaxation Coach is currently available in the Apple App Store for $2.99 (2,99 €) with an Android version coming soon. Join us in the Corona Forums to discuss this wonderful example of what you can build with Corona!